Just a reminder (for anyone who hasn't read my page on buying public property) that the Church of England publishes its own list of closed churches available for sale. St Mary the Virgin, on Foulness Island, Essex. Grade II listed on MOD-controlled island. Sutton All Saints, Chelmsford. A lovely early 12th century, Grade II* listed church. Bacup St Saviour, Manchester. Stunning old church in own grounds and one of three Manchester churches on the market through the same agents. 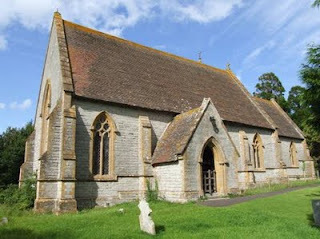 And Long Load Christ Church, Somerset - possibly the prettiest church on the list and pictured above. Thinking of going further North? Here's my more recent post about buying Church of Scotland property.